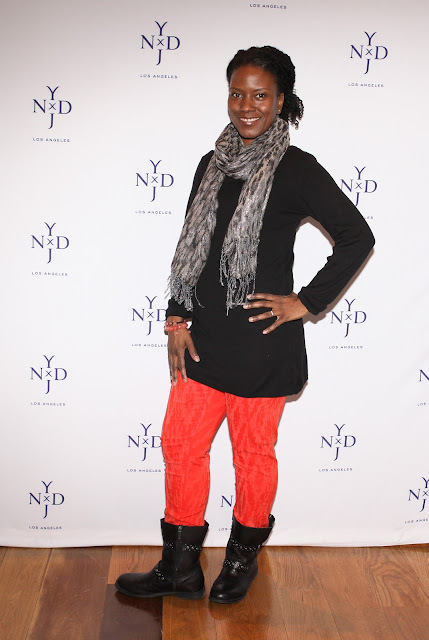 NYDJ--the original slimming fit--has a bevy of colorful jean styles for spring 2013. Everything She Wants previewed the collection and came home with an eye-catching pair in cayenne (a vibrant orange-y red). We're so glad these are not your daughters jeans. In addition to pretty, feminine shades like honeydew, buttercream and marigold, NYDJ offers a mix of playful floral and animal prints and edgier laser cut and basket weave patterns. The brand, sold online and in major department stores, is also on trend with white, relaxed fit and boyfriend jean styles--all a must for spring. I love those bold prints.